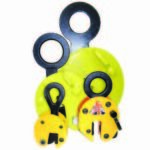 Girder / Beam Clamps are used as an anchor point for lifting or pulling purposes. 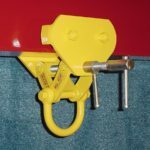 The Riley Superclamp allows the user to put lateral load through the use of its swivel shackle. The Girder / Beam Trolley is suitable for many applications, it provides a mobile suspension point that can be moved horizontally along a runway beam, making it ideal for usage with a hoist or winch. We offer a wide range of trolleys suitable for many environments including the popular Saflok Trolley. 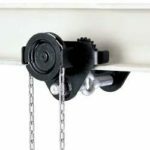 The Geared Beam Trolley / Girder Trolley, provides a safe and simple suspension point for suspending loads that can be moved along the beam / girder in a controlled manner using the supplied hand chain. 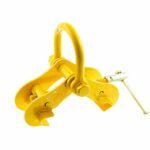 The Heavy Duty Vertical Plate clamp can be used to lift plate from the horizontal to vertical position to enable plates to be turned over.The clamp can be supplied with both serrated jaws or smooth non-marring Jaws. To be used in pairs, the Horizontal Plate Lifting Clamps are a safe, simple and cost effective way of moving plate in the horizontal position. Suitable for a wide range of thicknesses and materials, with serrated or smooth jaws. Can be used with multiple sets on larger applications. 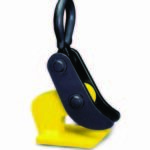 Lifting Margnets are a safe and simple way of moving heavy objects made from ferro-magnetic material. 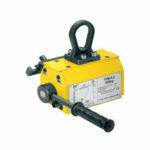 Lifting Magnets can be used for lifting round surfaces in addition to flat materials. They require no external power source and are simple to use.